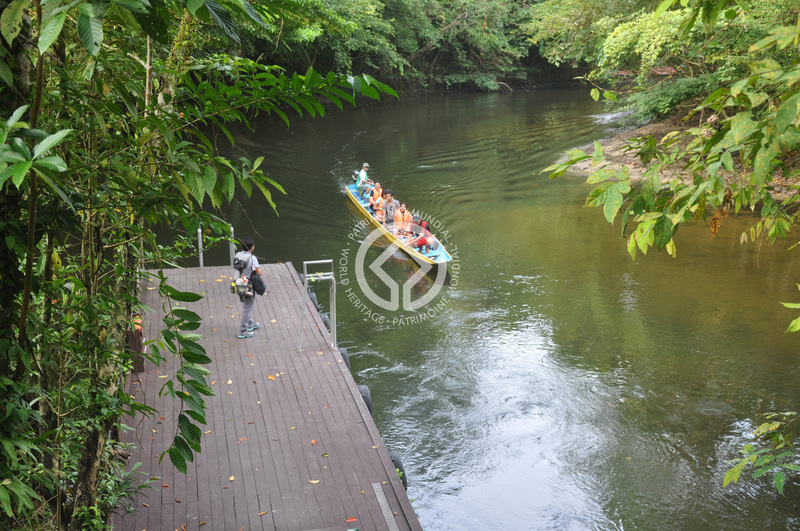 Mulu Forest access via longboat. 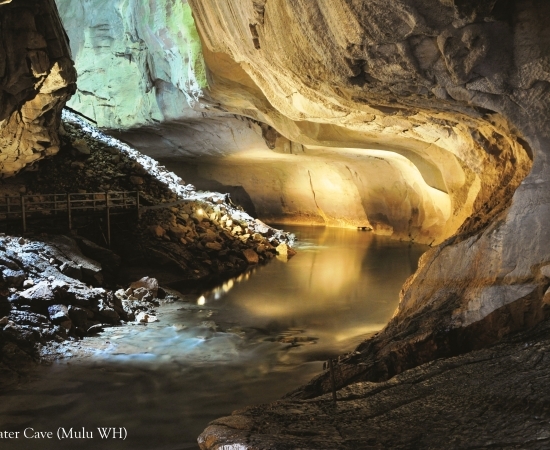 water Witness the active subterranean river dissolving the 7th longest cave system in the world. 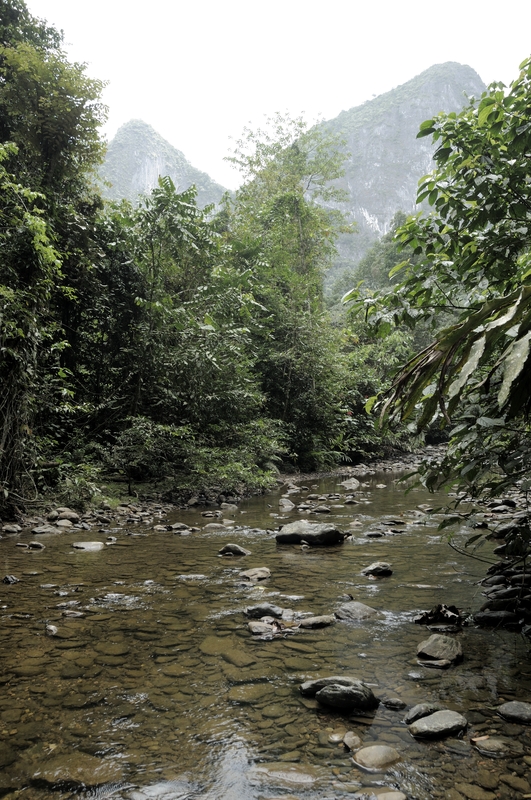 of Eden A combo adventure of boulder hopping, swimming and jungle trekking to a secluded and enclosed valley on the other side of Deer Cave. 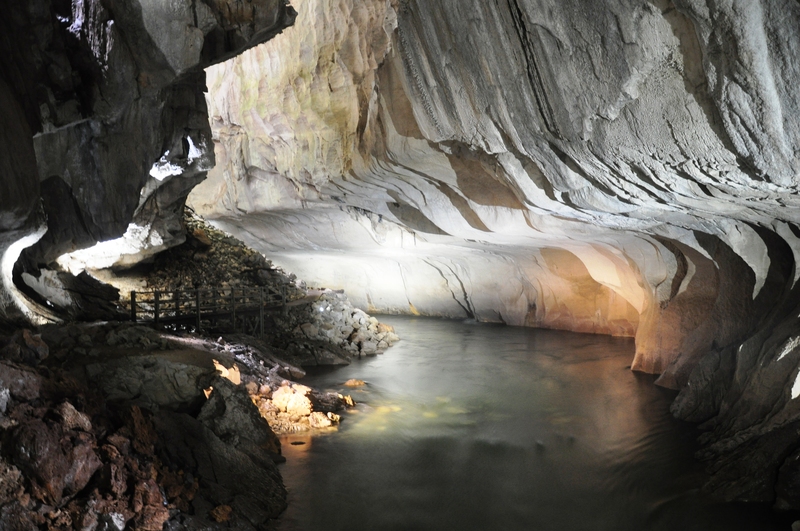 Deercave One of the longest cave passages in the world, home to Mulu’s iconic Lincoln profile as well as millions of bats! 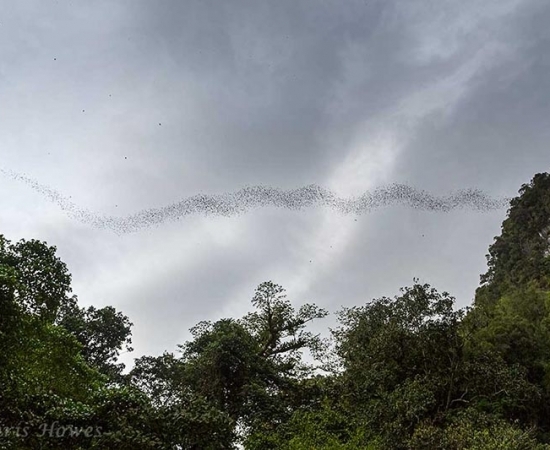 Witness the bat exodus in the late afternoon. 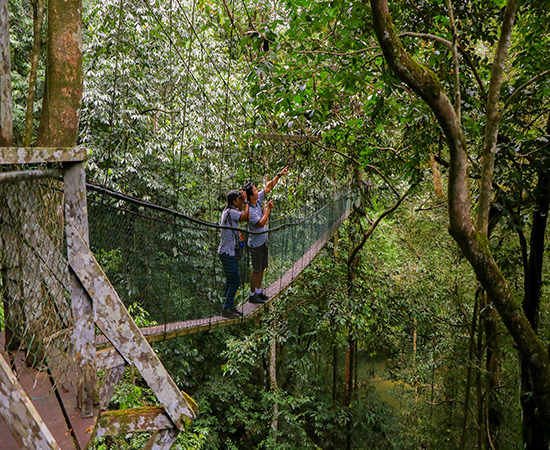 Canopy At 480m the longest tree-based canopy walk in the world, suspended 20 metres off the forest floor. 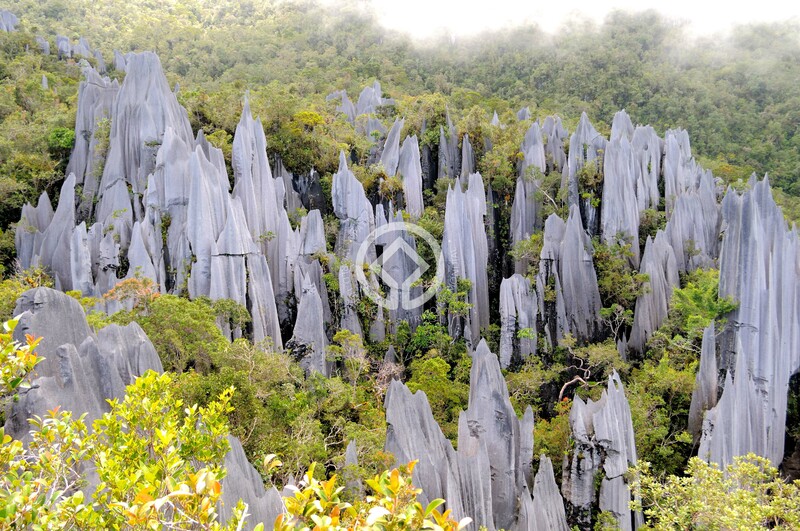 The Pinnacles Negotiate a 2 day trek and an extreme high altitude climb to be rewarded with a view of these uniquely shaped limestone formations situated high on Gunung Api. 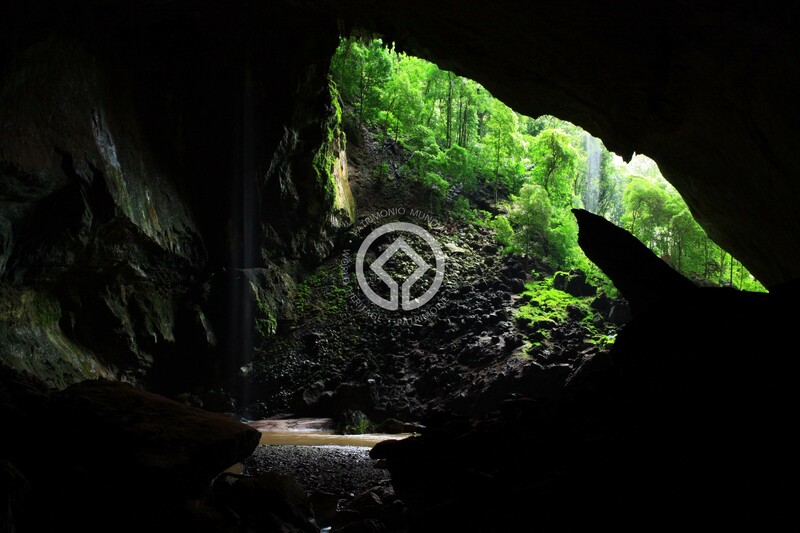 Welcome to Mulu World Heritage Area. 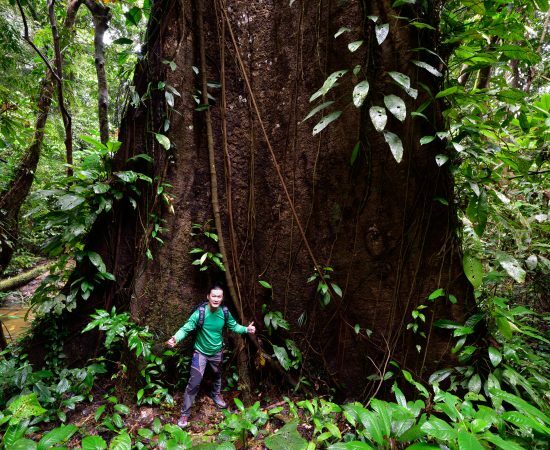 This spectacular rainforest took 60 million years to create. 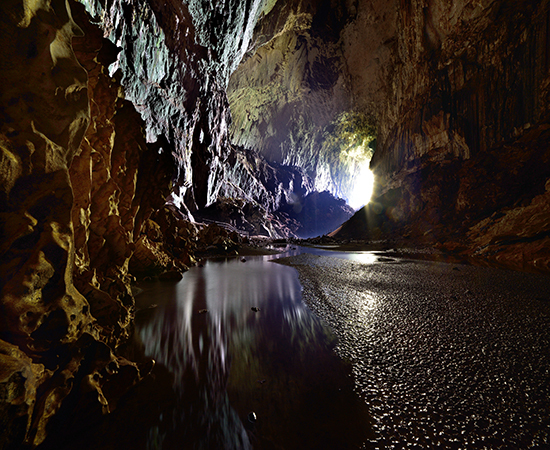 It is one of the most important natural sites in South East Asia and will leave you in awe of its beauty. 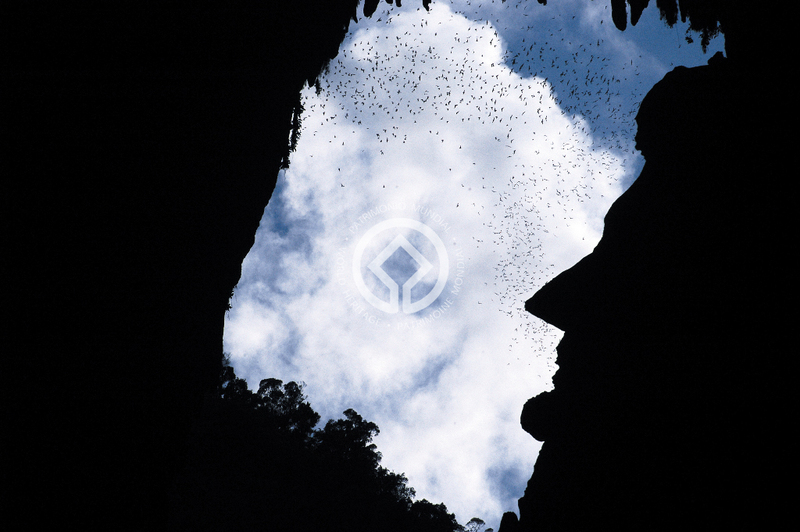 Discover the difference….Understand the importance. 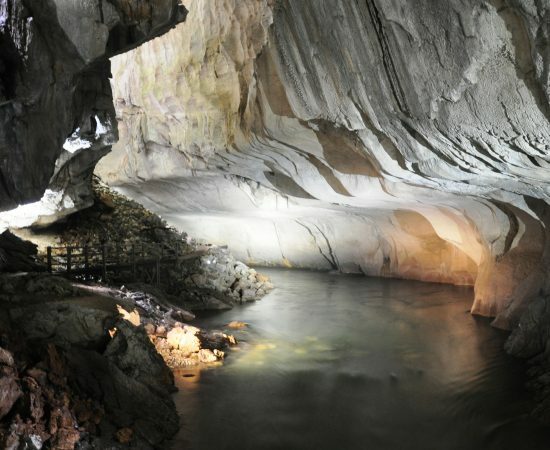 First there’s the topography with the landscape ranging in altitude from just 50 metres above sea level near park headquarters to the peaks of Gunung Mulu at 2,377 metres and then we have the unique underground environments of the caves. 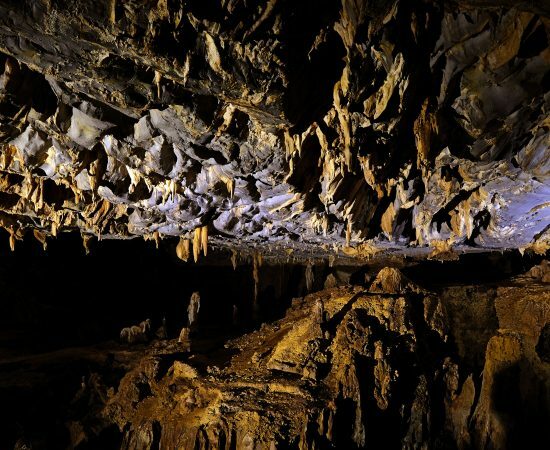 Combine this with a geology of alluvial clays, sandstone and limestone formations to produce dozens of niches and specialist environments for both plants and animals. *per person includes guide fee. 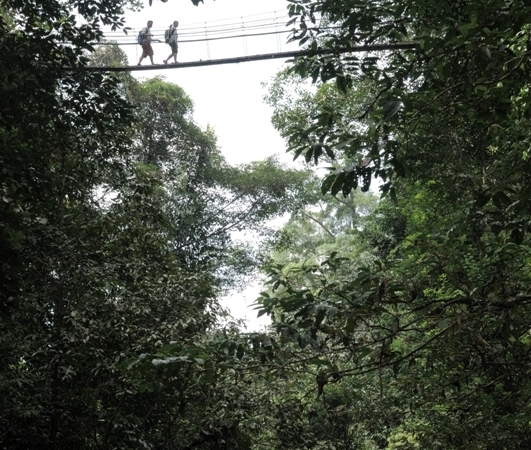 A 3km almost flat walk on raised plank walks takes you to the Bat observatory (45 minutes to 1 hour). 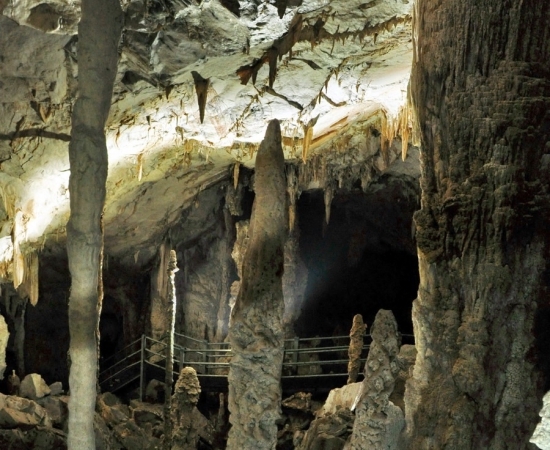 Walk another 500m to reach one of the world’s largest cave passages, home to more than 3 million Wrinkle Lipped bats. 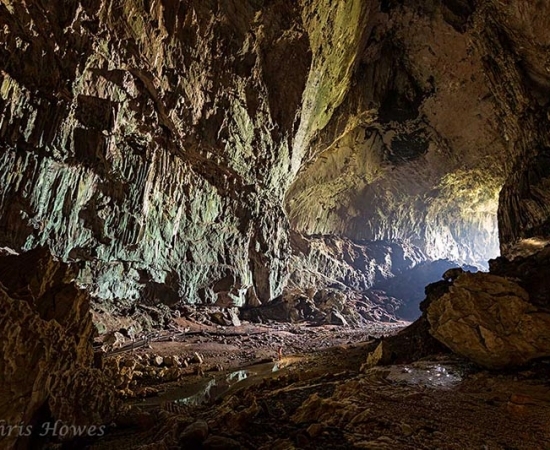 A large number of swiftlets also roost in Deer Cave where the high cave ceilings (more than 100m in some places) provide a safe haven against predators. 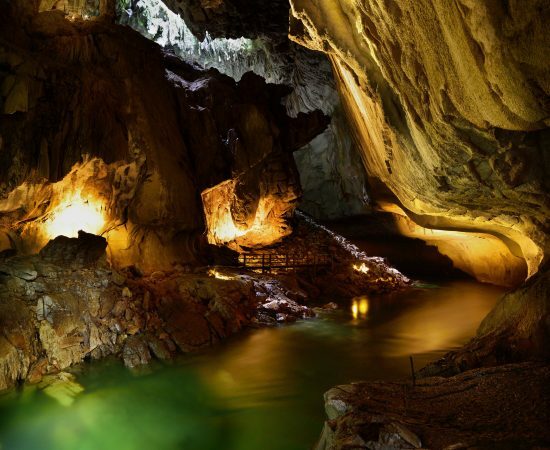 Enjoy the sheer size of this limestone passage, an ancient riverbed, and see the force of water carving the scalloped walls. 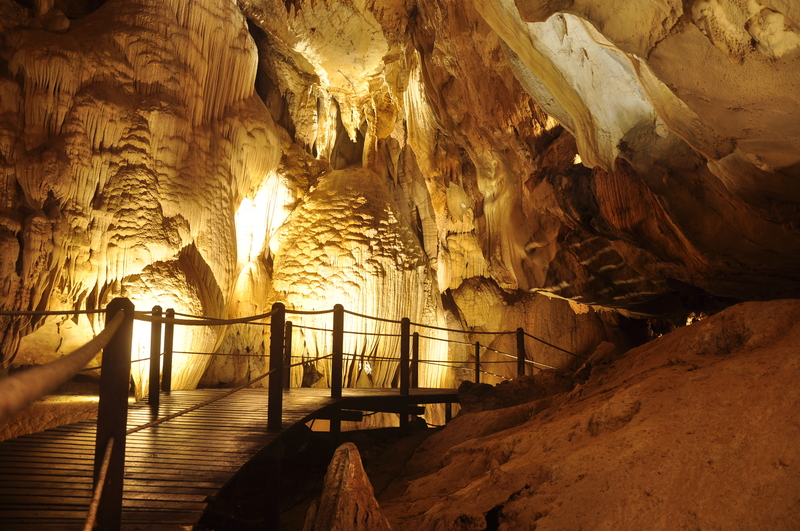 Once you reach the green oasis of Garden of Eden you have walked 800m inside Deer Cave. 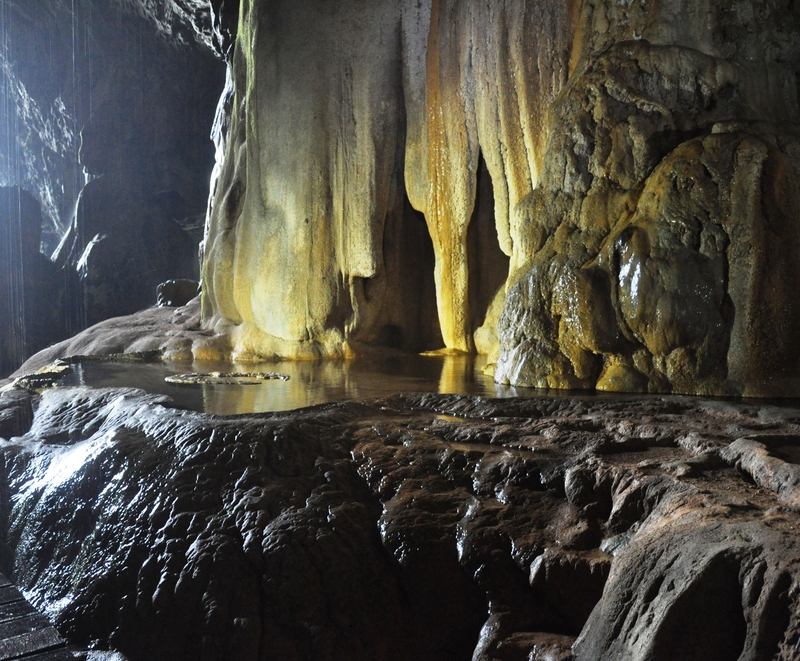 Enjoy the unique showerhead formations of Adam and Eve’s showers spouting columns of water 30m to the riverbed below. 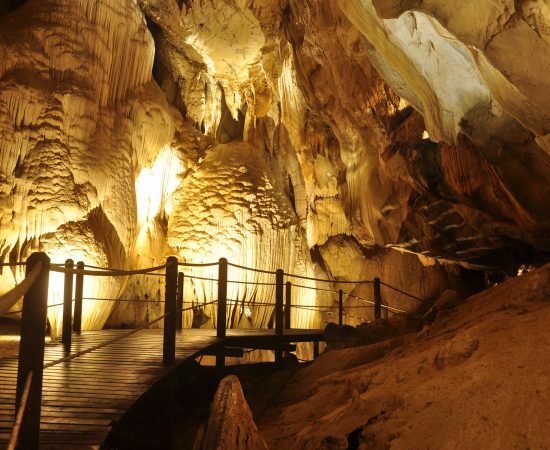 Returning almost the same way, but with views from different angles, you will visit Lang Cave with wonderful limestone shawls, stalagmites and stalactites. 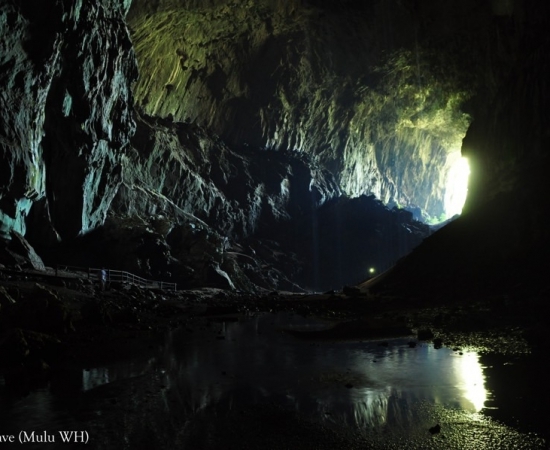 Bats are easier to see in this smaller cave and you will be very close to the shimmering webs of thread worm larvae, another miniscule wonder of Mulu caves. 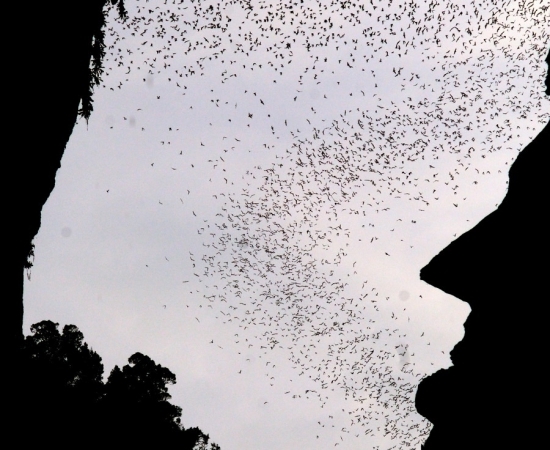 The tour is timed to coincide with the bat exodus which could start any time from after 17:00. 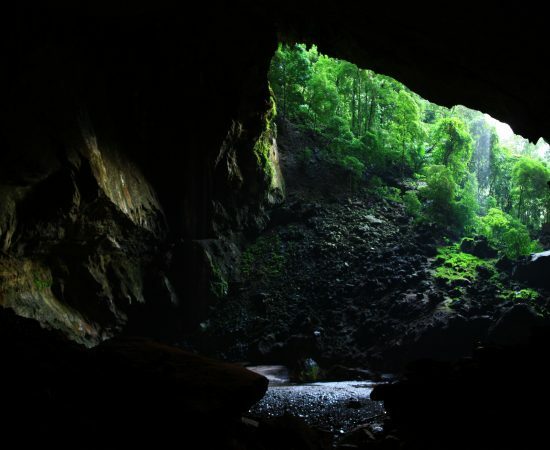 To walk to Deer cave to witness the Bat exodus is a FREE excursion, BUT you cannot enter Deer or Lang cave without payment beforehand and a guide (as is the normal procedure). Expect to be back at HQ by 18:30 to 19:00, should the bats fly. A small kiosk at the Bat Observatory sells drinks and snacks until 17:30. PLEASE BRING YOUR EMPTY TINS/PACKAGING BACK WITH YOU TO HQ as per World Heritage prescription. Toilets and designated smoking area available. 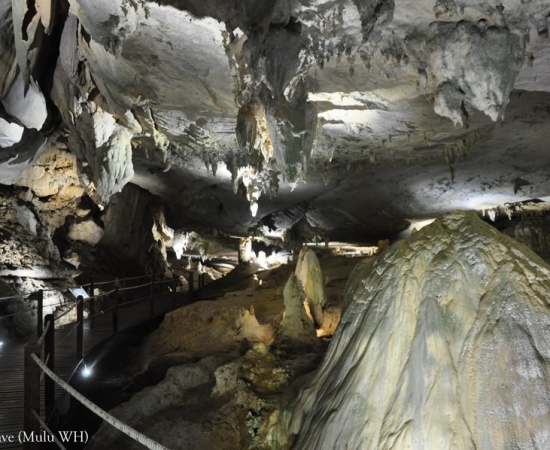 This Deer Cave tour is also included in the Garden of Eden Valley walk. Keep this in mind as not to duplicate bookings. *per person includes guide and longboat fees. 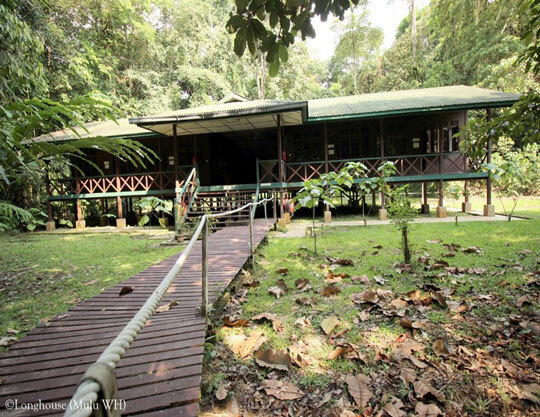 Cruise up the Melinau river in a longboat and visit a Penan longhouse & market at Batu Bungan (market not open on Sundays). 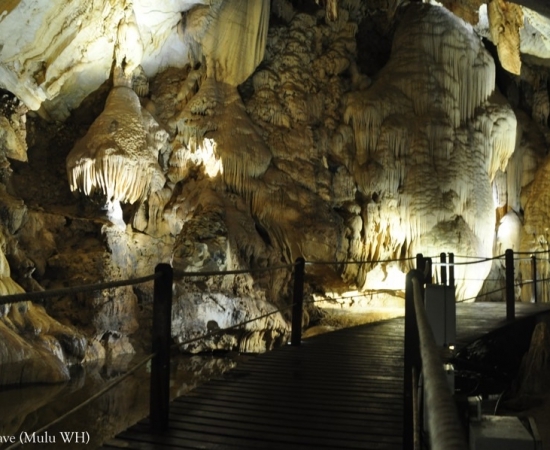 2nd stop at Cave of the Winds where you have to negotiate a long ramp and a few stairs. 3rd stop Clearwater where the subterranean river emerges from the cliff face. 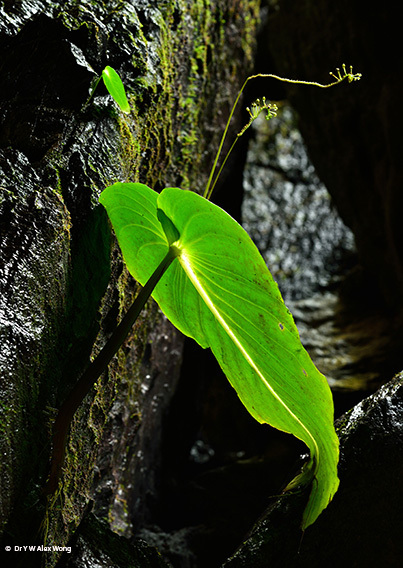 Take 200 stairs to enter the cave to marvel at the Monophilia Pendula endemic to Mulu. 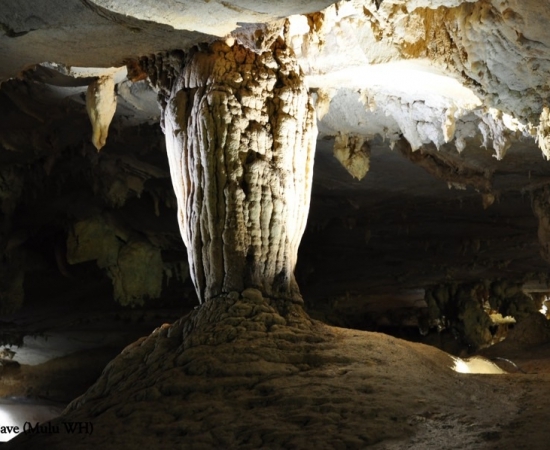 Clearwater is one of the biggest cave systems in the world, measuring over 220km in length. 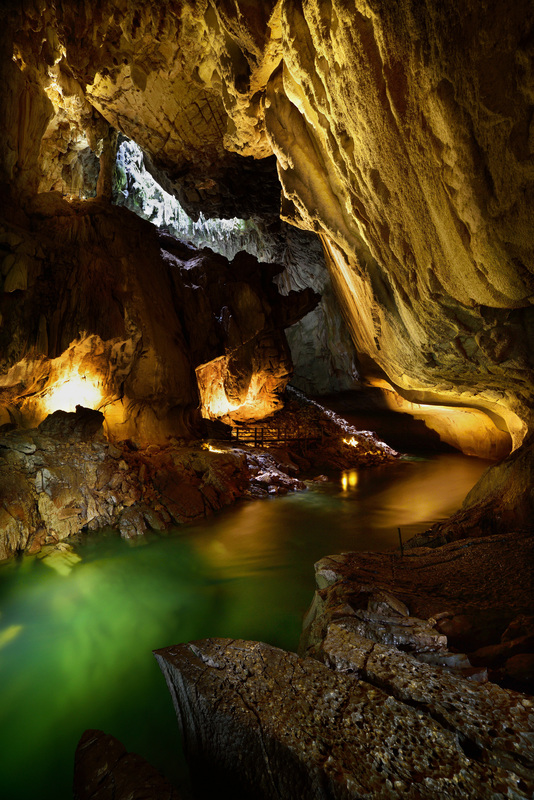 Swimming inside the cave is not permitted, however a cool down in the natural crystal-clear waters at the picnic deck is a must. 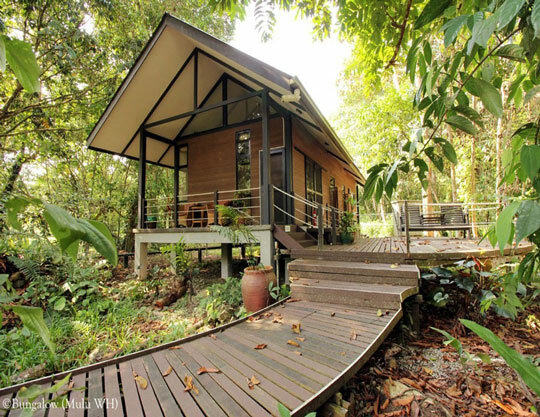 Float with the fish and enjoy the rainforest around you. 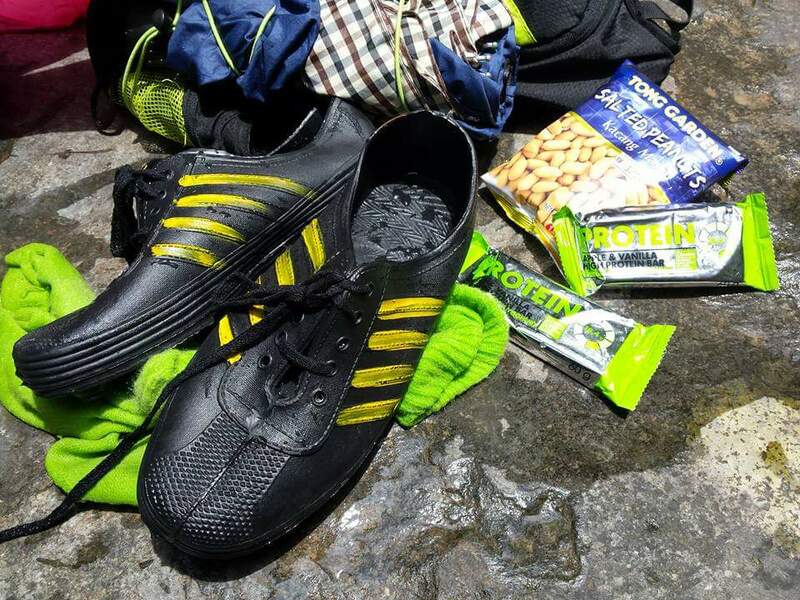 The Park tour does NOT include any food & beverage, feel free to bring your own. Café Mulu sells packed lunches on request. PLEASE BRING YOUR EMPTY TINS/PACKAGING BACK WITH YOU TO HQ as per World Heritage prescription. Toilets and a designated smoking area available. 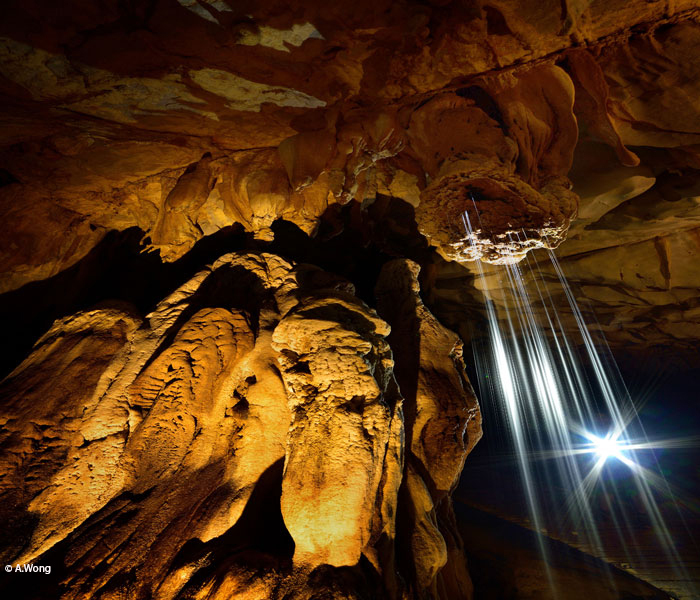 This tour can also be included in the Pinnacles tour. *per person includes guide and boat fee. 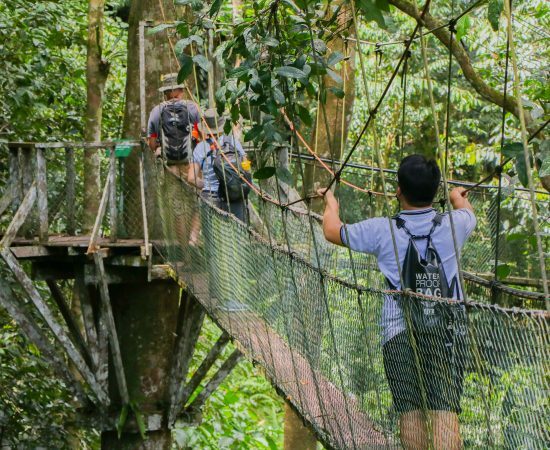 A short boat ride up the Melinau, a 10-20 minute walk through the rainforest and a climb up the steps to the cave entrance brings you to the start of a 1,5km underground adventure. The tour size is limited to 12 people. 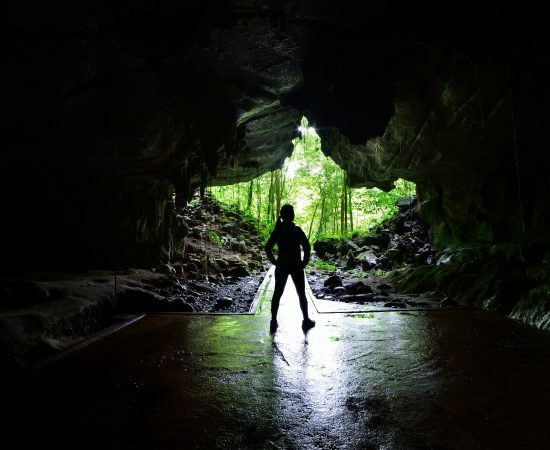 The tour begins by torch light encouraging you to ‘discover’ for yourself. 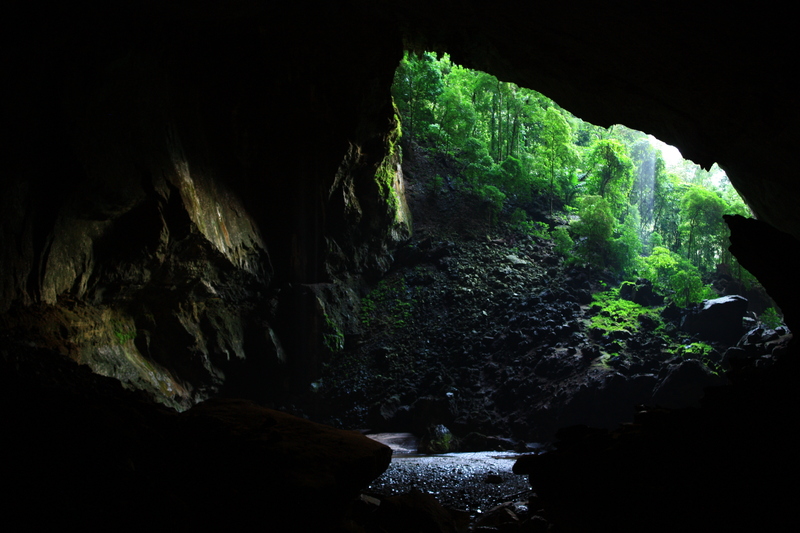 Cave fauna is easily seen at the beginning of this trip: twinkling spider eyes stare back at you, blue Racer snakes sit waiting to catch a bat flying by, white crabs feed blindly in the shallow pools of water and the long antennae of cave crickets pick up your movements as you pass by. 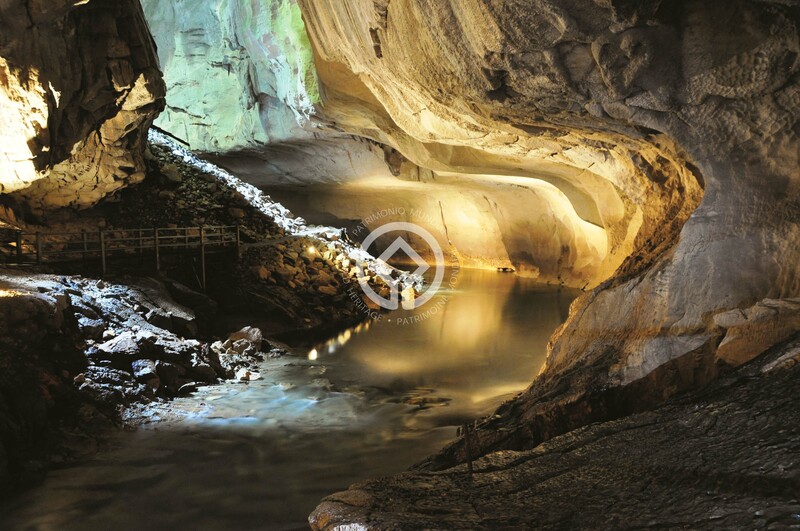 As the cave becomes larger some of the best formations in Mulu are presented to you via stunning lighting. 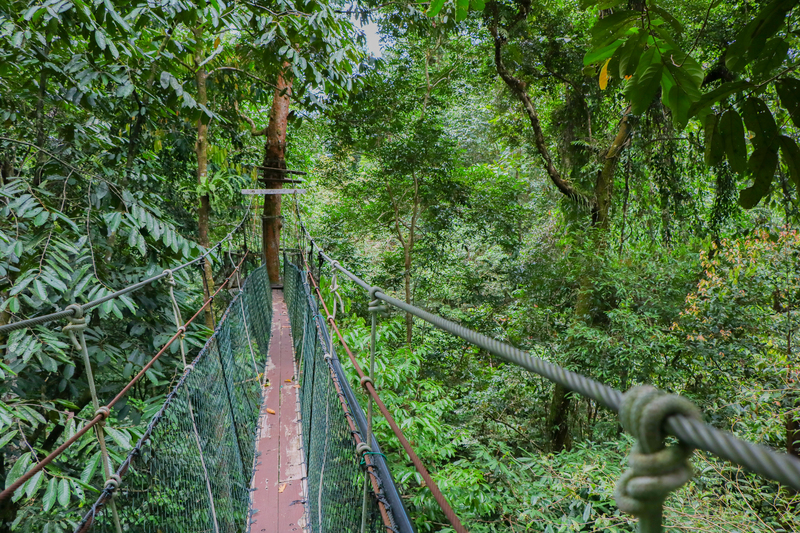 The wide plank walk path allows you to look around you and thoroughly enjoy this amazing experience. 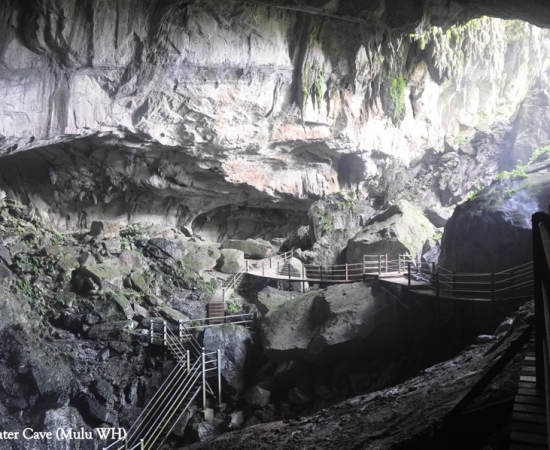 This cave is highly regarded by scientists as it contains huge volumes of pre-historic sediments, including a volcanic ash layer. Children must be 6 years and above. 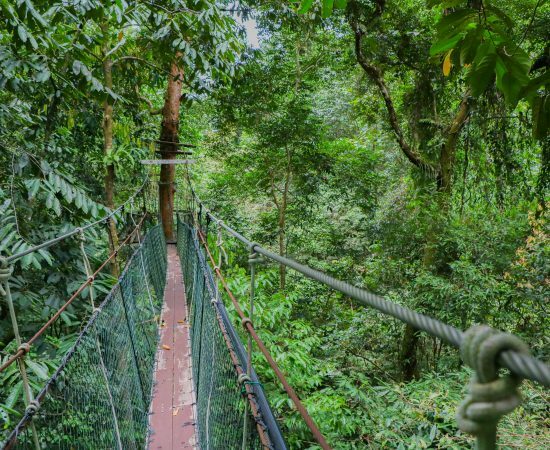 The Mulu canopy walk is a 480 metre walkway, suspended 25 metres above the forest floor and still one of the longest tree based canopy walks in the world. 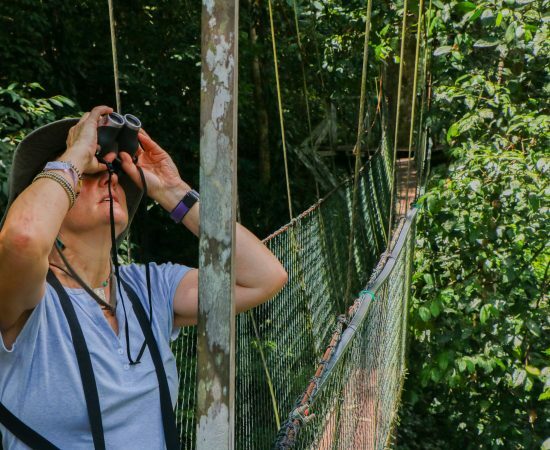 Walk in the lush tree tops with tranquil river views below and compare the vegetation of riverine forest floor to the understory, the treetops and nearby limestone cliffs. 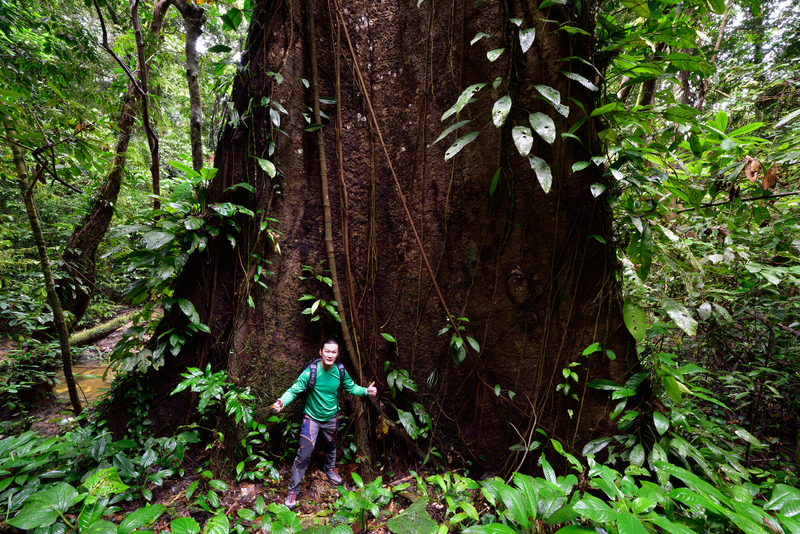 A unique opportunity to get closer to the rainforest ‘web of life’. BOOKING ESSENTIAL during the busy season as it easily sells out. 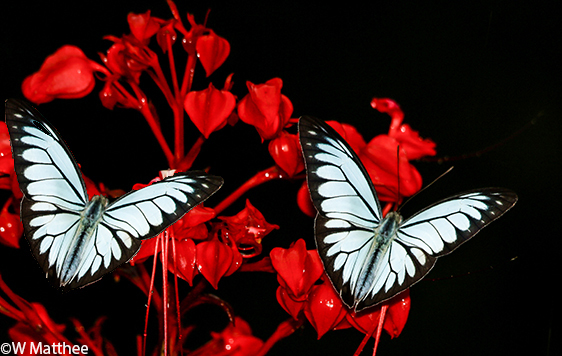 Early morning tours are advised for birders. 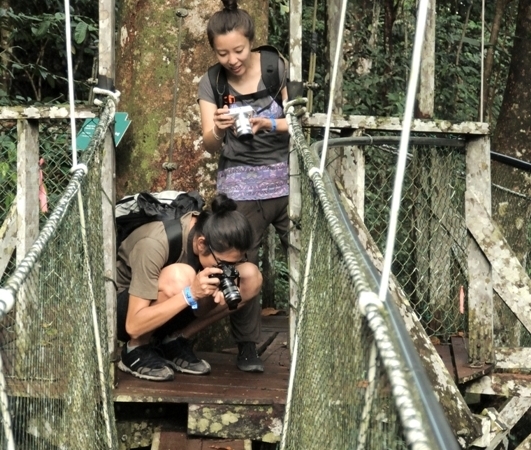 MYR 22.00 *per person includes guide fee. 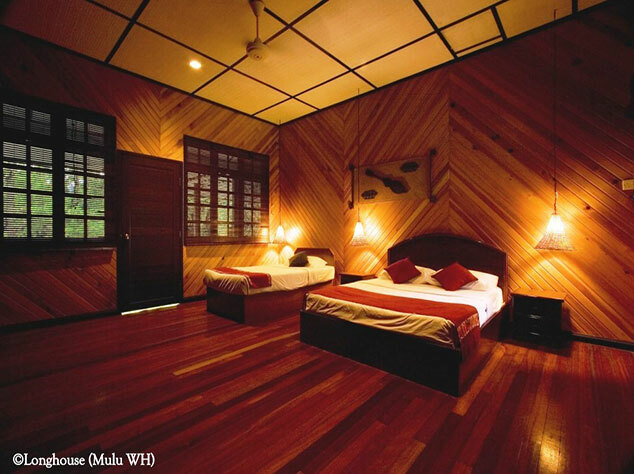 BOOKINGS ARE ESSENTIAL as group sizes are limited to enhance your experience. If it is raining, departure can be delayed up to 30 minutes before the tour is cancelled by your Park guide. A refund will be arranged the next day if the tour is cancelled before departure. 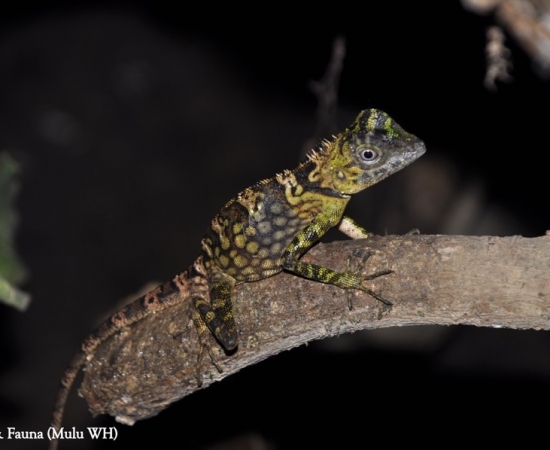 Mulu is a rich habitat for thousands of nocturnal species which prefer the darkness of night to protect them from predators. 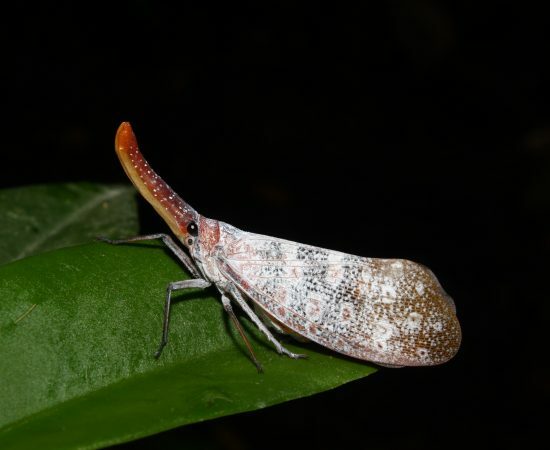 Although the forest is an orchestra of sounds at night, the visitor must move quietly to catch Mulu’s weird and wonderful creatures in the lights. 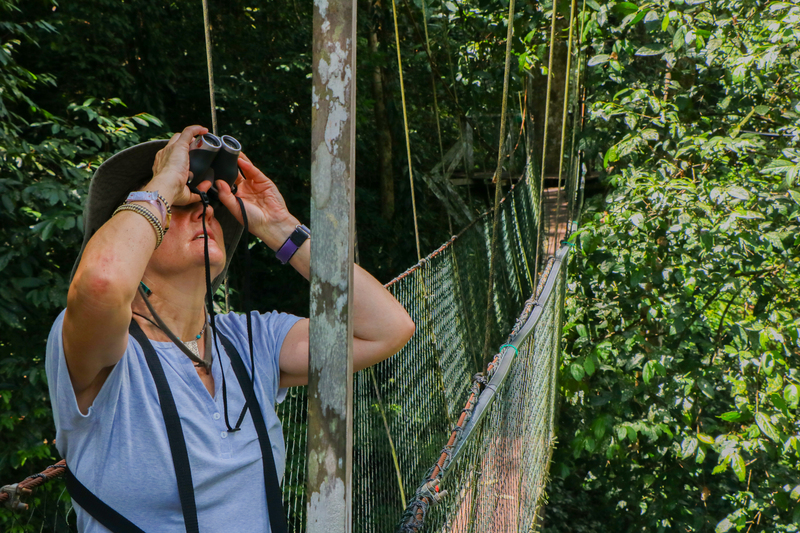 This tour is an excellent introduction to learn where to look and train the eye for the Mulu experience. 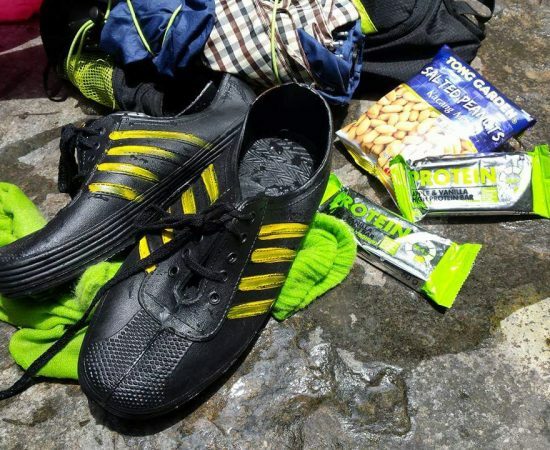 Be sure to take raingear. Too much insect repellant has the tendency to warn other animals of your presence, thus making it more difficult to see. 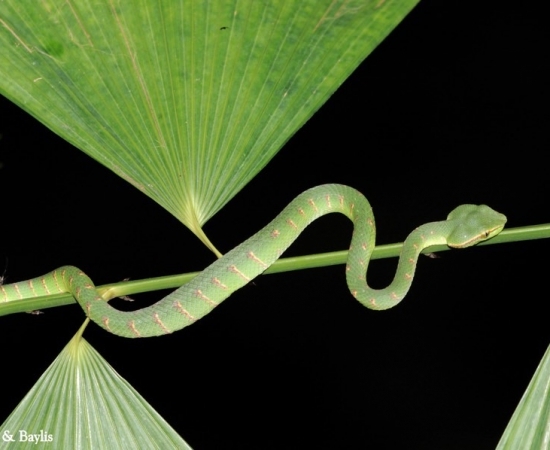 The Guide is reliant on animals appearing or not. Please make it easy for the Guide and ask questions. This tour is not suitable for children 12 years and younger. 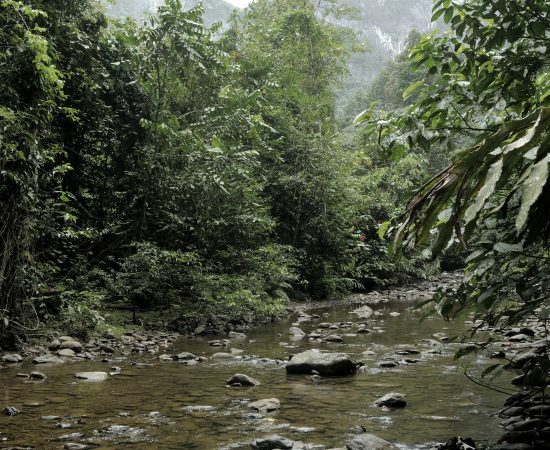 It is a stunning trek, but easy to underestimate. 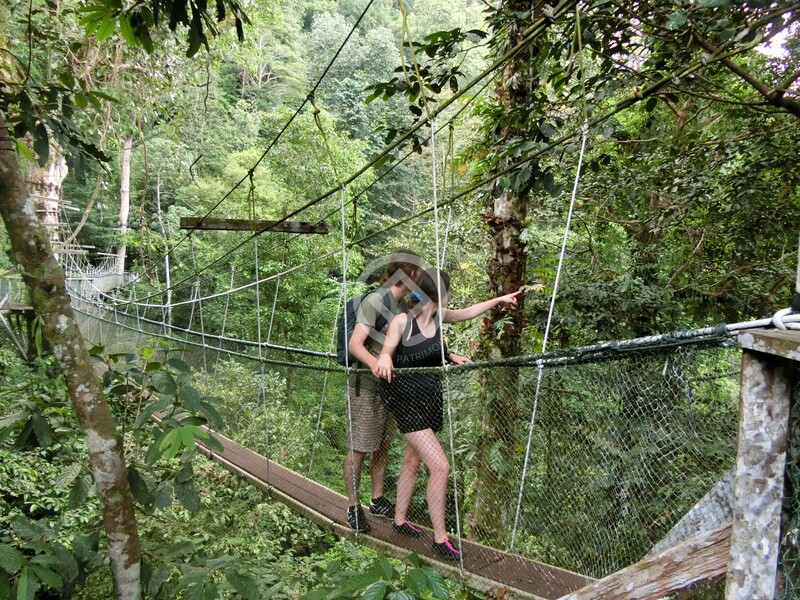 Yes, leeches are guaranteed on this excursion. 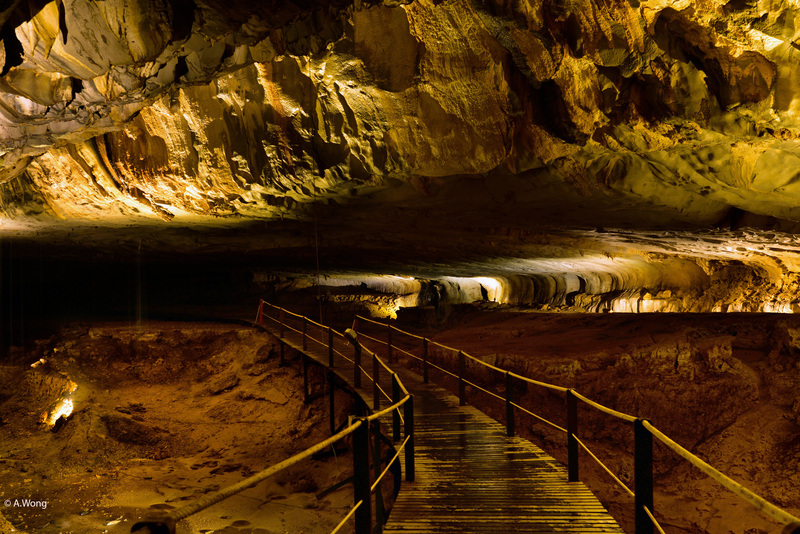 This tour takes you to an enclosed valley that can only be entered via Deer Cave. 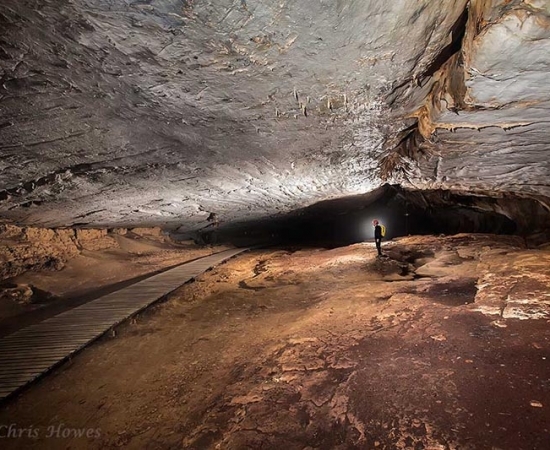 The Valley was actually a part of Deer Cave and geologically can be described as a doline or collapsed cave feature. 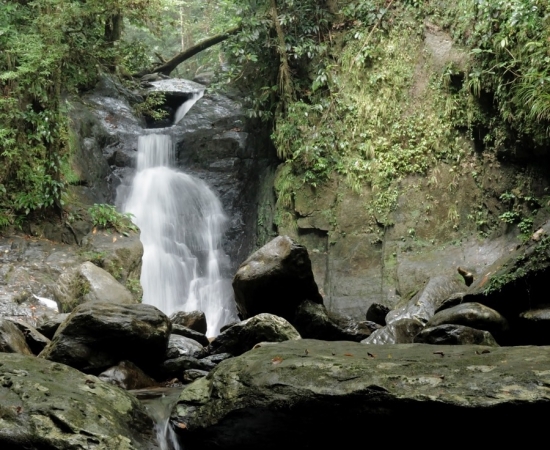 From the Garden of Eden pools you will follow the Eden river, jungle trekking to more rock pools. 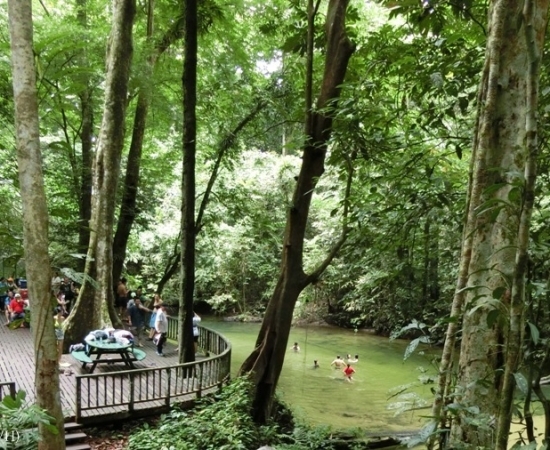 Here you can swim and enjoy your picnic lunch before returning to Deer cave. 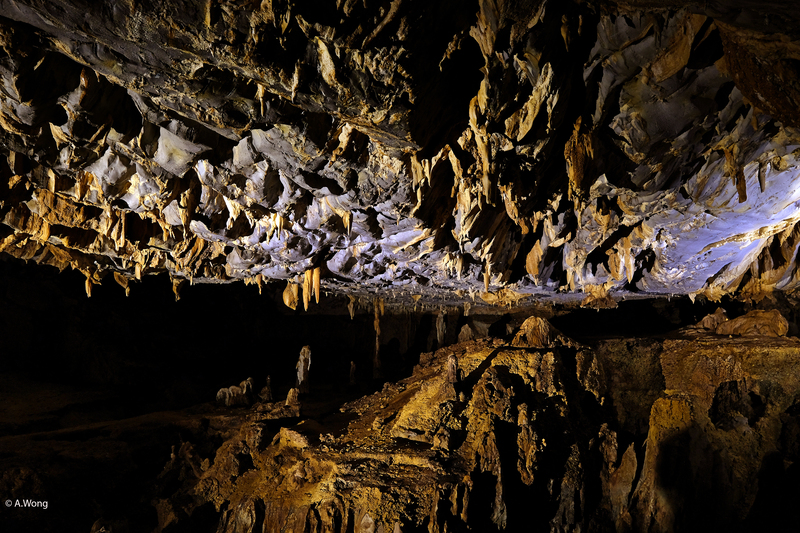 After exiting from Deer Cave your guide will show you Lang Cave and leave you at the Bat Observatory. 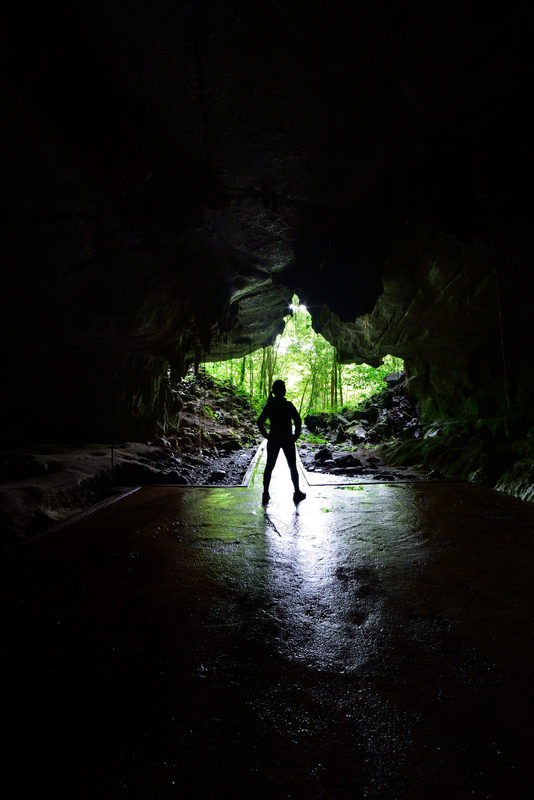 You can then decide to watch the Bat Exodus or make your way back to the Park Office via the Deer Cave walk when you are ready. 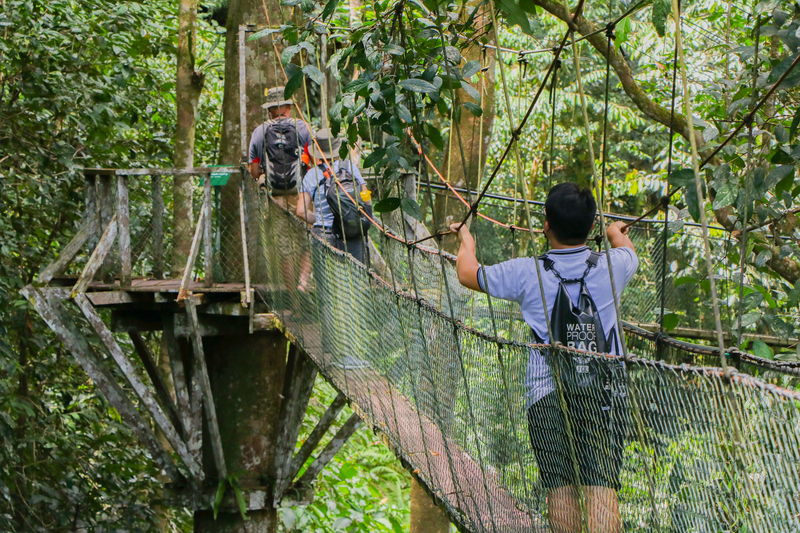 This 12 km trail leads you over slippery terrain, bat guano and through water. 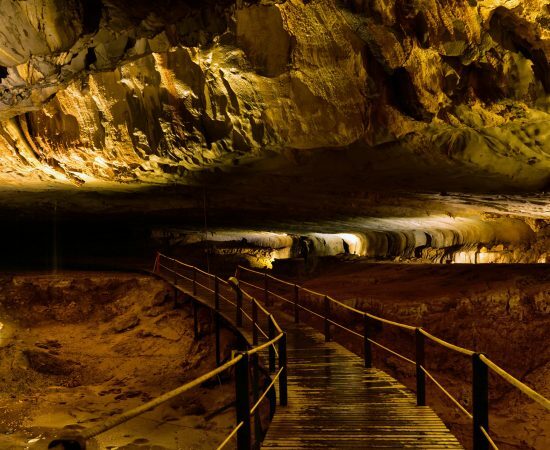 No additional charge for Deer and Lang cave tour when combined with this walk. Please note this package to avoid duplication. 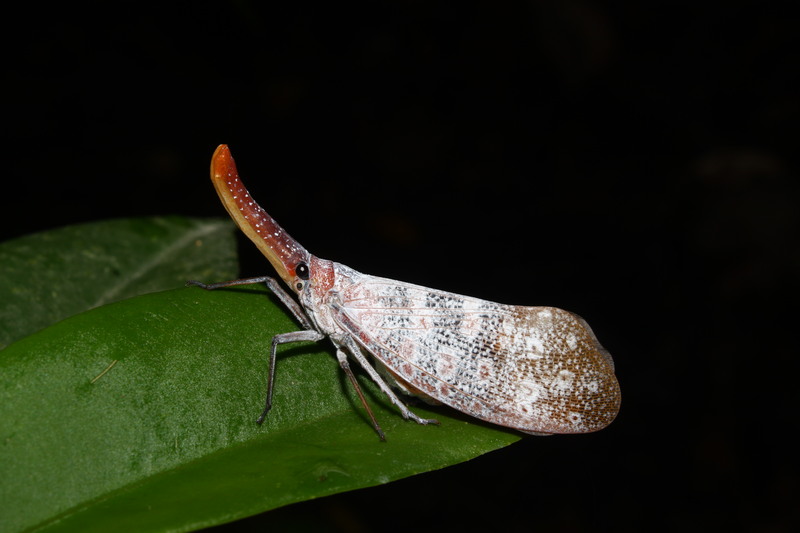 Heavy rainfall in the area may mean cancellation of this tour at short notice. Ability to swim is essential.